To book a ticket with Finnair when I travel to S.E Asia is a great tip for saving one or two hours in travel time compared to going to Frankfurt or Munich while you are on the road. Sometimes I take the shortcut to Asia through Helsinki and when going to Singapore two weeks ago I did so. A smooth night flight later I arrived in Singapore, not tired at all. How did I managed? here comes the magic formula. Well, the original plan was to take the SAS flight from ARN to HEL but when we got to the check in it was canceled. So, it was just to get new tickets and head towards terminal 2 at Arlanda. A terminal that I do not like at all due to its small size so I try to avoid it. 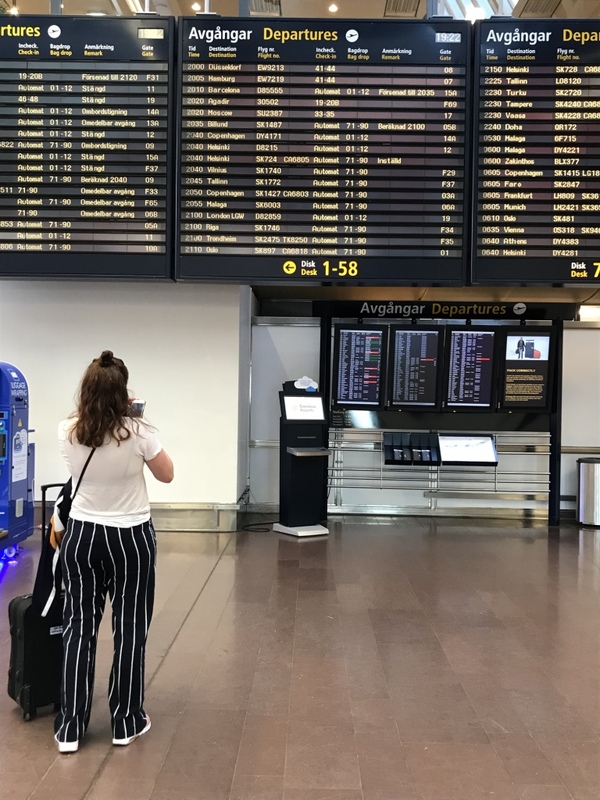 This Tuesday evening in May it was though almost all empty so killing 30 minutes there before boarding the A321 towards Helsinki was not a problem. 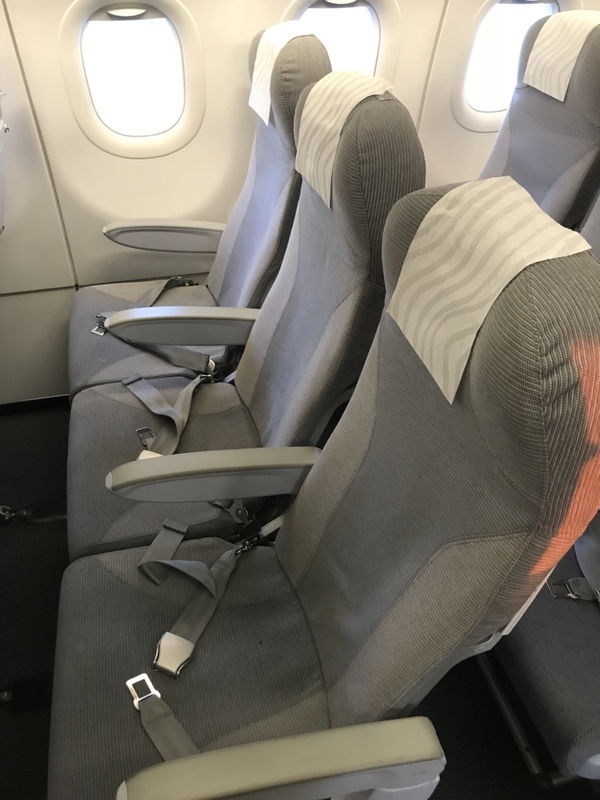 The seats at Finnairs A321 are no modern lightweight seats but they are rather comfortable. For the 40 minutes flight over the Baltic sea they worked perfectly. I was very thirsty and luckily we got a free drink. Arrived before schedule and the crew was very friendly. No wifi but honestly, if you cannot survive without wifi on a 40 minute flight I think you should really reflect over your wifi addiction. Boarded and ready for takeoff with Finnairs A350 towards one of my favorite Asian destinations, Singapore and Changi airport. We arrived to HEL less than an hour before the nightlight towards Asia so without running we came just in time to be one of the last passengers to board the aircraft. It was my first time flying the A350 belonging to Finnair and I have previously flew the same aircraft type with Qatar, Lufthansa and Cathay so I was rather excited. Especially since I work with the A350 that SAS have delivered in the fall 2019 I love to see how the competitors aircrafts looks like outside of the googled pictures. 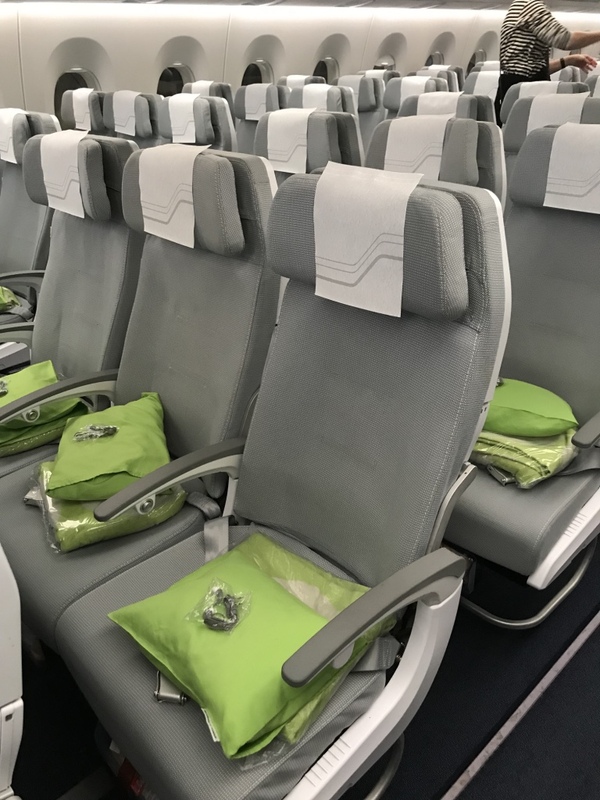 Aircraft seats is one of my favorite topics and the ones installed in Finnairs A350 in both business class and economy does though come from Zodiac which is a giant player in the market of aircraft seating. If I liked the seats? no. They were comfy but when it comes to quality they were really poor. The armrests were almost breaking when you were putting some weight on them and not to talk about the table. The one I got at the first seat I was sitting in was loose. Luckily the flight was half empty so both me and my travel friend claimed one 3 seater each that we slept thought the flight at. The IFE system comes from Thales and Finnair did not really had a wide range of movies to select about. Compared to SAS they had roughly the same amount but not like Lufthansa or the Gulf carriers which have everything you can wish for and a bit more. Anyway, I fell asleep before I finished the one and only movie I started to watch so fair enough. But the free wifi was a success. When I woke up 1,5 hours before reaching Singapore I tried it out and it worked perfectly without any remarks. Really fast connection and uploading an instastory worked with the same speed as on the ground. Here Finnair has something to work on, their food. The portions were really tiny, or I was really hungry. Usually an airline meal makes me full but this time I was still hungry after finishing all of it. I had not been eating much during the day but still. There were also only one option, chicken, which I only eat in emergency cases since I don’t like it. The best part of the inflight meal was the wine. After finishing the meal I actually had to ask if they had some snack since I didn’t bring any own food or fruits and the flight attendants gave me some crackers otherwise I don’t know if I have survived without start biting on the interior. Just saying, bring your own food if you travel longhaul in economy with Finnair. I am not booking a ticket with Finnair for a luxury experience. The one and only reason I am flying with the Finnish carrier is to get the shortest trip as possible to my destination. The A350 is a great aircraft to fly in and if you have not tried it I really recommend. 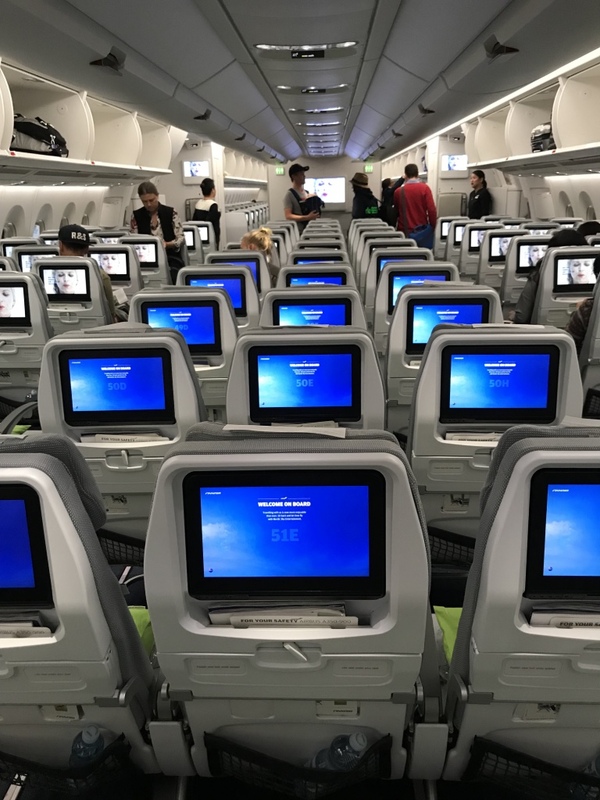 It feels modern just like the A320Neo. That are my two top reasons to fly with Finnair. Have you flewn with Finnair? how was your experience? ← Vad gör man i Singapore? Wow, impressing working for Finnair for 40 years. Feels like a lot of people in the aviation business never can quit once they get in. Well, one country against three, like that comparison. then You know very much about me, my life and Finland generally. Japp värt att beta av 🙂 bäst att checka utbudet på marknaden.